Uma PharmatechMachinery engaged in designing, manufacturing, research, training, troubleshooting in Fermentation and Bioreactor equipment and plant. Uma Pharmatech Machinery focused towards customer satisfaction, Weadopted a customer-oriented approach and Serving clients all across globe, We developed a complete understanding clients requirements and offer customized services such as Fermenter / Bioreactor Plant for various application for clients as this helps in delighting our customers and building close relationships with them. leading technology leader in field of Bio Tech & Life Science Equipment for customer around globe. We aspire to win the trust and confidence of our customers. We constantly strive to systematically expand our position as an innovative, customer-oriented technology group. Our products range includeAutoclavableFermentor, In Situ Fermentor, Lab Scale Fermentor, Glass Fermenter, Production Fermenter & Bioreactor etc. Uma Pharmatech Machinery offers fermenters solutions including Data Acquisition Fermenter Software, Fermentor controllingSoftware, Fermentor Refurnishing Services, Fermentor Project Management Solutions, Technology Transfer For Bio Fertilizer and Contract Manufacturing Services. Uma Pharmatech Machinery Focus on The Feature Of Botech in Fermentation Technology Solution Under One Roof - Design, Manufacturing, Plant Lay out, Turkey Solution Trouble shooting. We are a one off the well known Manufacturer Supplier and Exporter of Industrial fermenter in India. we have come up with a Best quality range of Industrial Fermenter. In our range we offer, Enzyme Fermenter, Stainless Steel Fermenter, Laboratory Fermenter, Insitu Fermenter, Fermentor, Cylindrical Fermenter, Fermenter and Glass Fermentor, Commercial Fermenter. 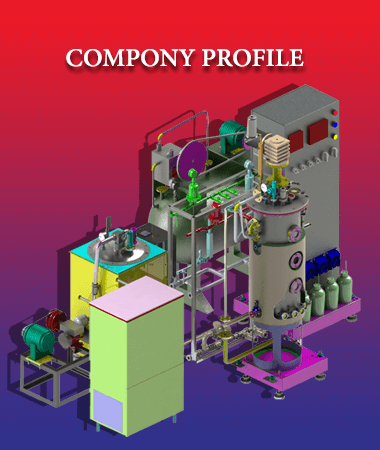 We offer Industrial fermenter designed by experts with high experience in the field of production vessel manufacturing. We manufacture production vessels with varying capacities ranging from 100 Liters to 10,000 Liters. Our production vessels play an immense role in production process of various industries across India. Our specification suits for production of various Bio-active compounds in small scale as well as in large scale. User choice Control packages like Temperature, pH, DO2, Motor Speed, Foam, Cell Density, Exhaust Gas composition, O2 Supplementation etc. Uma pharmatech machinery have leading range of bioreactors have automated hardware and software features that allow users to develop consistent and reliable operating protocols for all stages of development to manufacturing. Uma pharmatech machinery provide an integrated allied suite of technologies which allow you to use Quality by Design (QbD) principles to gain predictive results and to scale up effectively. The bioreactors robustness along with integrated and readily available cell retention devices allow cultivation of cells at ultra-high densities - to intensify cell culture processing. Uma pharmatech machinery offers you scalable benchtop solutions for the development of your bioprocess. Whether you perform batch, fed-batch or perfusion processes,umapharmatech machinery has a wide range of stirred-tank bioreactors and fermenters. You can use our benchtop bioreactors for cell cultivation as well as for microbial fermentation. Autoclavable culture vessels are available from 5 L to 25 L.